Climate change has caused a reproductive justice crisis, activists say, as its projected impacts lead some to question how they could have a baby with such an uncertain future. President-elect Donald Trump has vowed to expand fossil fuel development, meanwhile, scientists say the world may have entered its sixth mass extinction event. “Decision makers have repeatedly put big business and fossil fuels over a future for our children,” said Meghan Kallman, co-founder of Conceivable Future. 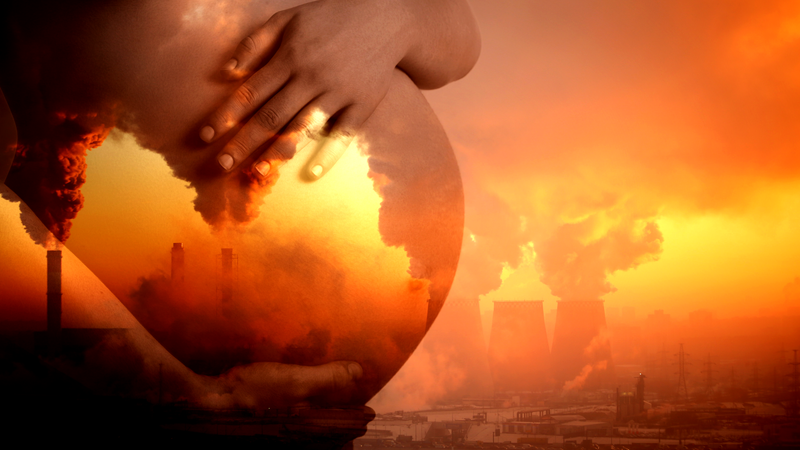 The women-led network hopes to bring awareness to the threat climate change poses to reproductive justice, and to end U.S. subsidies for the fossil fuel industry. “People are still shocked when they ask why I don’t have children, and I tell them ‘for environmental reasons,’” Shannon O., 38 years old, said in a testimonial for Conceivable Future. “People will laugh, and some will actually be offended,” Shannon O. said. She told her boyfriend when they first started dating that she didn’t want kids, and although he was initially taken aback, he came to the same conclusions that she had. Having a child, especially in America where consumption levels are so high, adds another carbon footprint. For example, an American woman who makes lifestyle changes such as recycling and driving a fuel-efficient car saves almost 500 tons of CO2 emissions in her lifetime. But choosing to not have a child would dwarf that, preventing almost 10,000 tons of CO2 from being emitted into the atmosphere. Projected impacts are also causing many to think twice about having a baby. “Whether or not to have children as it relates to climate change (came down to) whether or not there’ll be a sustainable future for children that doesn’t involve floods, drought and hell on Earth,” 25-year-old Caitlin, from Seattle, WA, said. Another testimony echoed Caitlin’s thoughts about calculating the risks and rewards of having kids in the context of climate change. “I am currently feeling very conflicted about whether I want to bring biological children into the world,” said Alison Nihart, 31, of Burlington, VT.
“What does bringing more people into the world mean for the future of the planet and what are those people’s lives going to look like?” Nihart asked, saying she often envisions famine, drought, and increased conflict. David Holzman, a 32-year-old New York, NY, resident, said he didn’t have kids but has always been interested in reproductive rights and privilege. “I think maybe in the past few years I’ve warmed to the idea (of having kids) … I’m often delighted with my friends being so happy with having children,” Holzman said. Holzman said climate change aside, there have been ethical arguments against having children for quite a while. “It seems like this perennial question that ethically points to not having children, but then balanced with this human desire becomes more fraught,” Holzman said. Across the country, people have hosted house parties and sent in nearly 70 testimonies. “They can feel their way through stuff that’s in their minds that they never said out loud,” Ferorelli said. One house party in Seattle, WA, saw hosts open with introductions and then a free write—where participants wrote down their thoughts in a raw, sometimes unusable way. Then, they broke up into small groups and used the free write as a way to spark conversation. At the end, they would record or write testimonies. Participants were asked to send their testimonies to three important people in their lives—whether a family member or a local representative—to keep the conversation moving. They also challenged everyone who testified to send their testimonies to the banks that funded the Dakota Access pipeline at the height of the Standing Rock protests in North Dakota. Even though the testimonies reflected different and at times opposing opinions, what remains common is all of their decisions were confined within the context of climate change and leaders who aren’t taking strong enough action, Ferorelli said. “No one is making choices freely under this threat,” Ferorelli said. Ferorelli likened it to the sometimes difficult choice for African Americans thinking about having children in an era of state violence against black people. People of color tend to be more sensitized to leaders that don’t care about their reproductive lives, Ferorelli said, and often contribute to a more nuanced conversation. One example is concern about overpopulation, which harkens back to racist ideas that blamed women in poor or developing countries for having too many kids. “The people saying this are usually the most exorbitant consumers,” Kallman said, adding that the question of population is secondary as it correlates to climate harm only insofar as the population is consuming as we do in the U.S.
“There’s been a violent history of reproductive control … we’re acknowledging that in our conversation actively,” Kallman said. The women hope the conversation they have started and the tools they offer through house parties, building community, and testimonies will help embolden people to take action to change the system that has created climate change. That could be “civil disobedience or running for office,” said Kallman, who was recently elected to the Pawtucket, RI, city council. “People have to feel empowered to make demands of the system,” Kallman said. As Kallman takes steps toward local change, she still has many questions about her personal decision on whether or not to have children. She comes from a large family, and wonders how she will be linked to her heritage if she decides not to have kids. Being recently engaged, she’s been asked the question more than ever, and realizes the social and internal pressures women experience that point them towards having children. Marnie Jones, a mother of three from Whidbey Island, WA, wrote in a testimony about her personal beliefs on childbearing. “I truly expect that together we can save the world,” Jones said.